A Child's Garden and the Abasolo Medical Center wishes to give thanks to the many whom have donated money or items, during this year. We have made a big difference to many families that have children who were born handicapped, or with cerebral palsy, blind, crippled, deaf and/or other numerous problems. We have recently worked with a group called Step by Step and opened a physical therapy clinic in San Felipe. It was with great pride that the Doctor and Bonny and I cut the ribbon for the grand opening. If you watch the video (linked to below) you will see the need we found in the many handicapped children, whom are hidden behind bedroom doors, and are kept away from all things children need to be doing, including having fun and laughter in their lives. Sometimes little things change a person's quality of life, especially when someone does something nice for them, without being asked, and then the person who received the gift or help, the gift or thought makes them want to do something nice for someone else. This year we have met many young children and their families who are so in need that they go without food to pay for the medicine or needs of their special child, and many have more than 1 child. It is amazing to see the children help with their brothers and sisters, all the while giving up their own childhood to help provide for the sick member in their family. Today we bought groceries for 10 families, and other items to show the families if they bring their children to therapy, sometimes there are rewards like beans and rice, or other things. The more children we work on daily with physical therapy, the more the children will have chances to improve their quality of life, to become able to make a better life for themselves, get a job, or marry, but most important it gives the parents and children hope. In order to get more handicapped children involved, we are trying to show the parents that they will be rewarded in 2 ways one with food and needs, and one with help that teaches their child to learn more and do more. There are signs of real improvement in these children. This year we lost one of our children, Leon Aramis, who was 4 years old when he lost his fight in the hospital, which A Child;s Garden helped with, the hospital, funeral, and then helped the family each week for 5 weeks after their loss. Panda, who was his father is now back to work, and his 3 other boys are all well but are missing their brother. A Child's Garden has committed to running the Flying Samaritans Clinic's that happens twice yearly. This year 2 Clinics had taken place in San Felipe. We provided at no cost over 160 pairs of eyeglasses, the doctors from the Flying Samaritans did 22 cataract surgeries, 8 plastic surgeries, 6 ears, nose, and throat operations, all at the new operating room that Dr. Abasolo and A Child's Garden built in the last year. The next step is to now work on the X-Ray room, and then Abasolo Medical Center will be able to convert to hospital status. Please if their anyway you can help, we need any or everything from clothes, to old sheets, blankets, kitchenware, pots and pans, anything you can spare. To our friends who have donated during the last year, I am attaching to this email a copy of your donation, if their are any mistakes on them please email us to correct our records. We have made a donation in your name , for this years Christmas present to you from us, and hope you understand that rather than giving you something you might not like or want, we will giving the children of San Felipe a little hope and love. Also don't think that we are not thinking about you, we believe if you come to our small town, and I hope everyone does, you will stay in our 1 bedroom apt. downstairs, with 2 bathrooms including a jacuzzi tub, full TV package including all NFL games and all movie channels, you would see why we feel this way about our cause down here and the changes we have helped in making and the changes we will make in the future. These children have become like our own kids, and some have so little contact with people because they are kept out of sight, but to see them when they first start and then see them in a month or so it is amazing the improvement. Also they learn your smell or voice and light up when they hear it, that will make your heart feel things you did not know you could feel. Please take a minute and look at some of our deeds performed by either watching the video, or going on Kat's Korner and checking some dates that are in the news for San Felipe that day or week, there are pictures of our operating room, the clinic, the therapy room, some of us giving donations, wheelchairs and medical equipment we have been given and us passing them on to the poor people who need them. So Bonny and I wish You and Your Family all the best Holidays and New Year. May it bring you joy and happiness as we have found in our cause here. Make the world a better place, do something nice for someone you do not know, go visit at the hospital or nursing home and just try and brighten someone's day. The reward you will receive will be better than any gift you can ever be given. 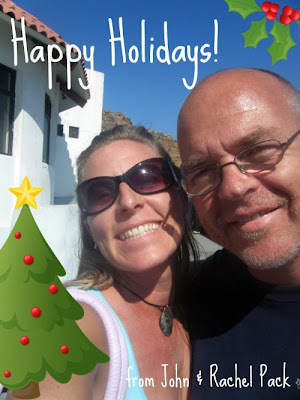 Celebrate the New Year Baja style! ZAPP Animal Center officially OPEN ! We already have sixteen dogs on site and we're sure the population will grow steadily. What a relief to finally get ZAPP open, so it can do its job,by providing solutions for all animal related problems in San Felipe. Please don't hesitate to bring "at risk" animals to the site for care. For now please call any of these phone numbers for directions and information, both in Spanish and English. 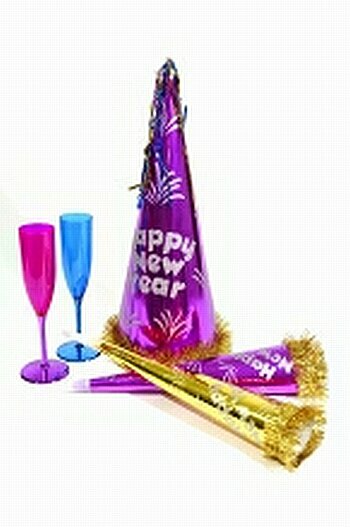 You can call Carolanne at 686-231-1565, Sochee at 686-122-6344 or Martine at 686-165-7333 or Steven at 686-190-3432. We are there and ready to help!! Thanks for your patience. Signs will be up tomorrow on the Highway, with markers that will lead you all the way to the site. to download a fresh and refreshing surf tune for the holidays. Tim Smith's Primal Sky "Riding Christmas Waves" is smooth, soothing holiday music that we guarantee you'll be listening to even in July! Simply check the audio section for all the latest music and talk. 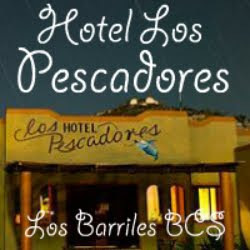 2010 International Blues and Arts Fiesta is an adventure not to miss in Mexico. Saturday March 27th, in San Felipe, Baja California, the Lions Club will again host a rip roarin' day of blues and arts! Mark it on your calendar. Start making plans because this fourth annual event will be the best yet. You can expect stellar bands and fabulous artists showin' their stuff. 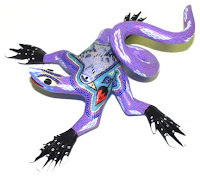 These local San Felipe Businesses have enthusiastically agreed to support the Blues and Art Fiesta as primary sponsors: The Peoples’ Gallery, El Cortez Hotel, Tecys Security, Copy Central, and Versoleil Landscaping. The Lions Club of San Felipe is grateful for their early sponsorship and recognizes their contributions as businesses that provide quality services to our community. 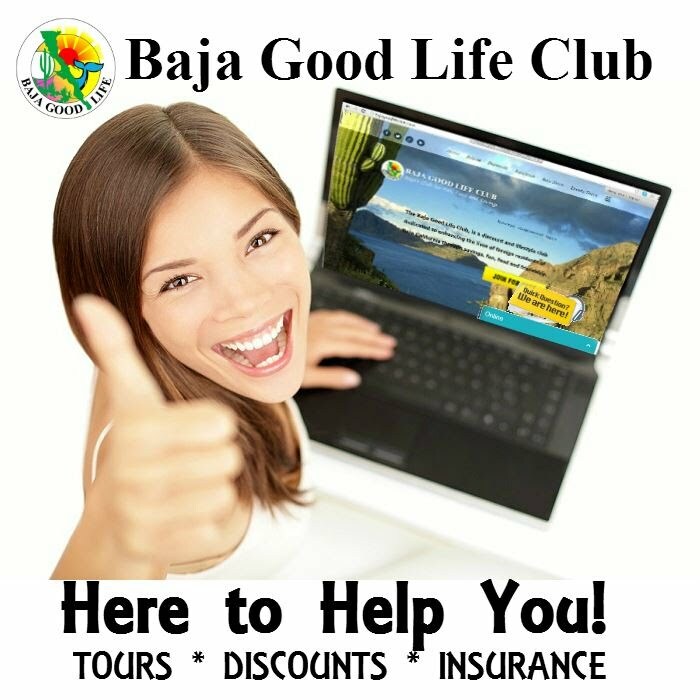 Your business in Baja can gain a lot of visibility and press through our sponsorship packages. The Blues and Arts Fiesta will be celebrating its fourth successful year and promises to deliver a day of music and art that you and your family can enjoy. Sponsorship packages range in price from $250 dollars to $900 and if you are interested contact sanfelipebclionsclub@gmail.com. We will be happy to assist you in choosing the right package for your advertising needs. Immediate contact is necessary to insure that your business is included in our advertising campaign. The San Felipe Lions Club is again the primary sponsor for this event. Last year the Club was able to donate $10,000 to the Sonshine Home for Children which is being built in San Felipe. Look for more information on this project in future articles. Right now our committees are working diligently to provide an amazing day where you can listen to the Blues, eat great food, and add to your art collection. The bands will be performing on a large stage in our town outdoor stadium. Professionals have been contracted for lighting and sound and we have a great line-up of performers to give you the best of the Blues. Acts like legendary guitar player Javier Batiz, Alice Stuart, Sean Carney with Phil Berkowitz, Michele Lundeen, Chet Cannon, Gregg Wright, Becki Sue and her Big Rockin Daddies, Route “69”, 820 Band, and our local band Agave Blues. Time to sharpen your scissors, find your scotch tape and dust off your holiday cheer. 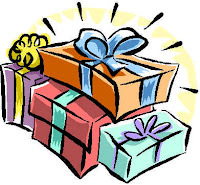 The Christmas wrapping will be held at the Internado on: Wednesday, Dec.16th at 9:30 a.m.
We need wrappers. Not great wrappers, not even good wrappers, but just willing hands to make the holiday posada a wonderful event. We would love to see new faces this year so please join us. Thanks so much for your generous contribution to ZAPP. As you know, ZAPP has purchased land, and is opening a 7.5 acre Rescue, Adoption Center, Rehab Center, Sanctuary & Spay/Neuter facility this Saturday. The New ZAPP Center is located on the south side of the highway, just before the arches, 2 miles off the road. We will also provide Board & Care for travelers, and Grooming. Our goal is to ultimately provide 24 hour urgent care for animals in immediate need. The New Center will have an open door policy for all dogs, cats, kittens and puppies. Thanks so much for your continuing support - Steven Forman. Dec. 10th in San Felipe is the Christmas Light Parade. 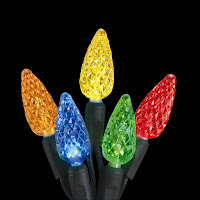 Celebrate this Holiday Season & see many vehicles decorated with light and tinsel, even a boat !!! The parade is starting from 7/11 Pemex aprox 5pm ! At the circle it turns right ...going thru neighborhoods and ending up at the Malecon and then back thru neighborhoods to the 7/11. Come and cheer all the different Floats in the parade! Thursday, December 10 infront of Fat Boys 11am to 4pm. We have 2 jail cells and for 100 pesos you can buy your friends (or enemy”) some jail time. There will be 3 judges sentencing you for misdomeaner crimes…..ie: Owning a snow shovel” or even or how about “wearing a watch” !!!! Letter #1 - Your new format is great! The October edition was absolutely fabulous; probably one of my favorite editions. It was loaded with tons of info, but two of my favorites were the "Medical Tourism" and "Mexicare" articles. I found "Broken Trust" especially interesting. I sent a copy to my brother-in-law, a U.S. doctor, who claims that the failure of the U.S. medical system is because of the illegal aliens who freeload on Americans! Thanks again for a great publication. Mary, of course I think every edition is great, but the October 2009 edition is one of my favorites as well. Thank you so much for the feedback and kind words. 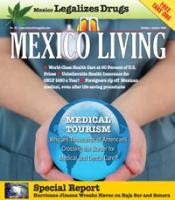 Letter #2 - I just finished reading the October edition of Mexico Living from cover to cover. You kept my interest from your Editor's Angle all the way to the classified ads. This month's articles on Medical Tourism were well written and very interesting and, should the need arise, could be very helpful. Thank you for yet another excellent edition. Gary, thank you so much for letting us know that we managed to keep your interest from cover to cover. I'll be sure to pass along the kudos to our writers. 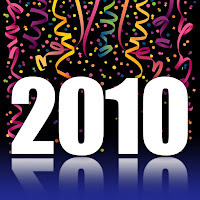 DIF of Loreto is welcoming donations of Christmas presents for boys and girls through age 12 for the Jugeton 2009. Toys can be dropped off in the large black basket in front of the DIF office on Juarez Street or in the courtyard of the Mission church across from the office. Last year 3000 presents were given to 3000 happy children! Your gifts should not be wrapped, as this will be done by volunteers. The Jugeton will take place on December 24 at Plaza Salvatierra, across from the Mission Church. In addition to the Jugeton, there will be a tree lighting ceremony on Dec 13 at Plaza Salvatierra at 8:00 pm. The Comittee in Support of Casa Hogar is selling tickets for a 50/50 raffle, and the drawing will be held at this event. If you would like to buy tickets, call Paula at 135-2125. You must be present to win. Tickets are 20 pesos each. Casa Hogar is not an orphanage, but a safe home for children whose families are in crisis. They may spend up to 6 months at the home, in a caring and secure environment, and return to their homes when conditions are improved. The committee is composed of Loreto women from many walks of life. Several are teachers, most are raising families. They have organized several events to raise funds for the maintenance and improvement of Casa Hogar, and their work has improved the lives of the children placed in the home. Well, we're opening for intake next Wednesday, as promised. And, am I ever happy that dogs are more forgiving than people, because they won't care about anything but a good meal everyday, and lots of lovin. Truth be told, if I were to wait to open until we are actually finished with this project, it would be sometime next year. Seven and a acres is a lot of land, and there are so many aspects of this project that will just have to happen over time. Our staff is in place, the exterior perimeter fencing is done, and we will have a huge septic system which is critical to a project this size, which will involve so many animals. We'll have three large 20' X 30' chain link kennels that will serve as holding pens until the interior fencing is done, and our revolutionary straw bale dog condos are constructed. Next on the list of priorities is making ready some secure boarding kennels, so travelers will be able to leave their pets. But, forewarned is forearmed, and even though we've been working hard for months, we are certainly still under contruction. Check out the ad below for the upcoming Drag Show on January 25th, starring TOOTIE & the Gang from San Diego. All funds raised at this event will help construct a "caterie" for our feline friends, and that's only a month away. Watch for the BIG sign on the Highway going south just before the Arches, which will direct you to the new location. It will be installed Tuesday! See ya there. Throughout history, Mexico has made numerous gifts to its big neighbor to the north. Tomatoes, avocados and chiles all came from Mexico, and the state of Baja California alone has contributed fish tacos, Caesar salads and margaritas. Over the years, the U.S. has received many Mexican sons and daughters; and even, following the Mexican-American War, gave Americans the entire state of California. But the most colorful gift that wended its way north is the flaming red poinsettia, that ubiquitous holiday plant that entices Christmas shoppers in malls and supermarkets everywhere. The poinsettia, which blooms in December, lends a festive air to homes and businesses on both sides of the border. And its origins are as Mexican as mariachi music. Native to the area around present-day Taxco, the Aztecs cultivated the plant they called Cuetlayochitl (Cuetlaxochitle in some references), using the sap to control fevers and the bracts (modified leaves) to make a reddish dye. The plant was so popular that even Montezuma had them caravaned into Mexico City as they could not be grown in that high altitude. After the Spaniards arrived, in the 17th century a group of Franciscan priests that settled near Taxco began using the red flowers for the Fiesta of Santa Pesembre (Feast of the Holy Manger), the first known holiday usage. What is a Mexican tradition without a supporting legend? The poinsettia legend has a poor Mexican girl named Pepita walking with her brother (or cousin, versions vary) Pedro to Christmas Eve services at the village church where people made gifts to the Christ Child. She was sad as she had no gift. Pedro said consolingly, "I am sure, Pepita, that even the most humble gift, if given in love, will be acceptable in His eyes." So Pepita knelt by the roadside and scooped a handful of common weeds and tried to fashion them into a presentable bouquet. In the chapel, Pepita placed the makeshift bouquet at the foot of the Nativity scene. Suddenly the weeds burst into beautiful red blooms and all who saw were certain they had witnessed a miracle. From then on, the flower in Mexico became known as the Flor de Nochebuena, or Flower of the Holy Night. The botanical name is also colorful (for Latin) and the plants were named Euphorbia pulcherrima Wild (pulcherrima means most beautiful) by German botanist Wilenow who was dazzled by their color. The Mexicans have their name for the flower and the scientists have their identifying moniker, but how did Americans come to know it as the poinsettia? Enter John Roberts Poinsett. Born in South Carolina in 1779, Poinsett became a special agent to South America, served in his state legislature, and was a member of the U.S. House of Representatives before heading to Mexico as special envoy. He was the first American ambassador to Mexico (appointed by Andrew Jackson) and was later a Unionist in rebel South Carolina. His outstanding career also included serving as Secretary of War under Martin Van Buren (1837–1841). But Poinsett is best known for the flower that bears his name. An accomplished botanist, in 1825 he sent some of the brilliant flowers from Mexico to his own nursery in South Carolina, and also to other friends and American horticulturalists, and they thrived. As the plant became more popular, historian and horticulturalist William Prescott was asked to give the plant a popular name. He chose poinsettia, honoring Joel Poinsett's contribution. A little known fact is that Poinsett was also the person who introduced the American Elm to Mexico, with the end result being a literal swapping of botanical gifts. 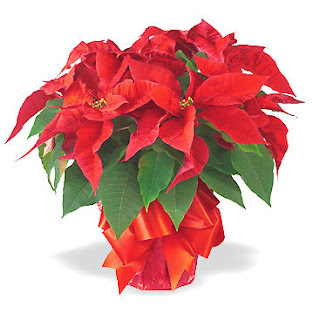 The present-day poinsettia has been hybridized greatly in the U.S. and Europe from the original Mexican plant. Today there are over 100 varieties, with varying heights, colors (red, pink, white), bract width and flowering habits. Today 90 percent of all poinsettias are grown in the United States. They are commercially grown in all 50 states, with California top producer. One of the world's largest commercial growers is the Paul Ecke Ranch in nearby Encinitis, which grows over 80 percent of the U.S. wholesale market. In fact, 90 percent of all flowering poinsettias in the world got their start at Paul Ecke Ranch in north San Diego County. The Ecke Ranch originated in 1902 when Albert Ecke started growing poinsettias in Eagle Rock, now a community of northeast Los Angeles. In 1909, he and his son specialized in poinsettias. They moved to Encinitis in 1923. Paul Ecke poinsettias are known for huge, giant bloom centers and a unique single stem presentation. December 12 has been designated National Poinsettia Day and the flower represents 85 percent of all potted plant sales during the holiday season. Hundreds of millions of dollars' worth of poinsettias are sold during the brief six-week season. Poinsettias grow rapidly in Southern California, and do well in coastal areas. That simple holiday pot, planted in a yard will, in a few short years, be a flowering tree. The cost of a poinsettia is determined by the number of blooms. Red rules as 74 percent of all Americans prefer that color to white (8 percent) and pink (6 percent). Women purchase 80 percent of America's best-selling potted plant. In the large supermarkets and wholesale outlets like Costco, poinsettias are as ubiquitous at yuletide as chewing gum at the checkout counter, except because of the size and brilliance, the poinsettias are much more obvious and shopping carts quickly get filled with them. I don't know what use the Mexicans made of the American Elm, but without their Flor de Nochebuena, the holiday season just wouldn't be the same for millions of Americans. Mexico has more to offer than sandy beaches, great food and a lively culture. It can also be the perfect place to get inexpensive medical and dental care. For years I lived with three broken back teeth because I didn’t want to pay the $2,400 it would cost to have them fixed. I had dental insurance, but it only covered half the cost of crowns—leaving me with a co-pay that I just couldn’t swallow. When I moved to Mexico, I learned that dental care cost far less here. Dr. Maricela Arizmendi came highly recommended and I now know why—she offers professional, caring and affordable dental care in a clean, modern office. The total cost for all three teeth was $750—less than one-third the cost of having them done back home in Canada. I had learned what many before me already knew—medical tourism pays. Medical Tourism is the growing phenomenon of people traveling abroad for affordable health care. In 2008, more than 200,000 Americans traveled outside the U.S. for medical care, and that number is expected to double by 2010, according to Josef Woodman, in his book Patients Beyond Borders. They travel for procedures such as dental work, heart surgery, orthopedics, cosmetic surgery, neurosurgery, fertility treatments, LASIK eye repair, and cancer treatments. Mexico is one of the primary destinations for patients from the U.S. with shorter travel times and the potential to vacation before and after treatment adding to its allure. It’s not just individuals considering overseas care. Insurers and employers are setting up cross-border health care plans to cover a wide range of elective medical procedures. 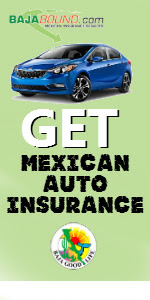 For example, Blue Shield and Health Net of California offers its members care in Mexico. The outsourcing of health care is turning into a big business. Medical tourists fall into several categories: 1) those that want elective surgery such as cosmetic or wellness treatments that are not covered by insurance plans; 2) those that are underinsured—high deductibles have many people who are in need of medical care running for the border; and 3) those that are uninsured. According to the U.S. Census Bureau, nearly 46 million Americans, or 18 percent of the population under the age of 65, were without health insurance in 2007, their latest data available. Since then, due to the recession, millions more have or will lose their health insurance coverage. Some medical tourists go abroad for immediate availability of procedures as wait-lists and limited physician choices at home force them to seek out alternative treatment centers. However, for most, the primary motivation is the significantly lower cost for health care found outside the U.S. or Canada. The cost of medical and dental procedures in Mexico is, on average, about 25 to 50 percent of U.S. costs. While these savings are alluring, they should only be considered in situations where quality of care is not sacrificed. Along with its many benefits, traveling for your medical treatments can create some additional risks. There is no regulatory oversight of the medical tourism industry, putting the onus on the consumer to determine whether the foreign facility and medical team are qualified. And keep in mind that in many countries, outside the U.S. and Canada, you may have very little legal recourse if something goes wrong. With sound planning and research, many of these risks can be minimized, if not eliminated. At its June 2008 Annual Meeting, the American Medical Association (AMA) discussed the issues facing Americans seeking medical care outside the U.S., and developed the AMA Guidelines on Medical Tourism. The guidelines are in favor of patient choice, and seek to inform and advise individuals, employers, insurers, and those coordinating international health care about how to ensure the quality and safety of patient care internationally. The JCI sets over 350 standards of excellence for international hospitals to meet that ensure the quality and safety of patient care. These standards include patient satisfaction and quality outcomes, medical training of doctors and medical staff, nurse to patient ratios, overall hospital cleanliness, and innovation in medical technology and equipment. JCI has accredited more than 250 facilities in 36 countries, including eight in Mexico. Hospital CIMA in Hermosillo, Sonora, is JCI accredited. CIMA has partnered with a major U.S. insurance company to offer services to U.S. patients. Blue Cross and Blue Shield members of Companion Global Healthcare Inc. can now seek treatment at CIMA Hermosillo. Under the agreement, members are covered for procedures such as cardiology, gynecology and orthopedic surgeries. "These are typically very expensive procedures in the U.S., whether you have insurance or you don't," said Steven Foster, CIMA’s CEO. "Surgical procedures run about 60 percent less than the average U.S. procedure," added Foster. An example of the cost savings—a hip replacement in the U.S. would cost $100,000 on average while the average cost at CIMA is $12,000. Since moving to Mexico, I have begun using Dr. Roberto Salazar López at CIMA as my family doctor. I am very impressed with both CIMA and Dr. Salazar—from the marble floors throughout the facility to Dr. Salazar’s clean and modern office with its own ultrasound scanner and X-ray viewer. 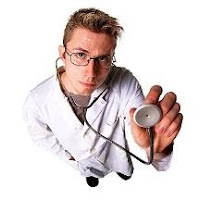 The doctor stores all patient information on his laptop and he can access and input my data at the touch of a button. The level of personal care that I receive from him far exceeds anything I’ve previously experienced. On my first visit, Dr. Salazar gave me his email address. I have since emailed him several times and each time received a response the same day. And I was never charged for these prompt electronic consultations. He accepted me as a client right away (I am still on a waiting list to get a family doctor in Canada), and when I need to see him, I can usually schedule an appointment for the next day. In addition to CIMA, there are many other Mexican clinics and hospitals that are clean, modern and feature state-of-the-art diagnostic equipment and will provide exceptional care at reduced prices. Many facilities are staffed with English-speaking physicians and medical personnel. As I discovered, Mexico is also a hotspot for tourists in search of low-cost dental care. High-quality dentists can be found in all of Mexico’s major tourist resorts and large cities, including San Carlos, Los Cabos, Tijuana and Cancun; and even smaller communities such as Los Algodones and San Felipe offer quality dental care. Any treatments available in the U.S. and Canada are also available in Mexico, including caps, dental implants and teeth whitening. One of the biggest advantages to choosing Mexico for your medical care is its proximity to the United States and Canada. In Mexico, you can get reasonably priced medical treatments close to home. And as an added bonus, while abroad, patients also frequently take advantage of the opportunity to take an inexpensive vacation. Recuperating on a sandy beach under a shady palapa while taking in the beautiful scenery may be just what the doctor ordered. Memphis is a city that takes great pride in its barbecue. They claim to have the best in the world and have become famous for it. But what most people don't know is that Memphis-style Barbecue is available in San Felipe, at Blowin' Smoke BBQ & Grill. Memphis barbecue sauce has its own distinctive flavor. Though the specific ingredients will vary from cook to cook, Memphis sauce is usually made with tomatoes, vinegar and any countless combination of spices. It is generally thin, tangy and somewhat sweet, and when Memphis sauce is poured over pulled pork—OH YES, BABY! Blowin' Smoke BBQ in San Felipe knows how to serve up a BBQ feast with all the best BBQ sides, like coleslaw, corn on the cob and baked beans. Their Memphis-style slow smoked BBQ, pulled pork or smoked beef sandwich are a flavor to savor. When the plate hits the table, conversations stop and the feasting begins. 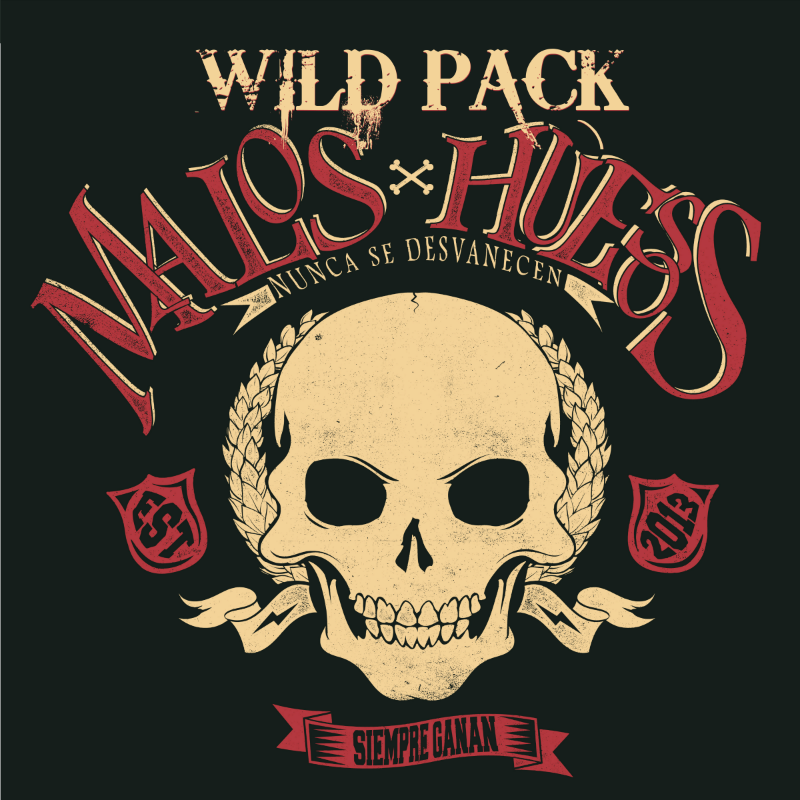 Great Memphis-style BBQ, ice cold cerveza, comfortable dining and reasonable prices. 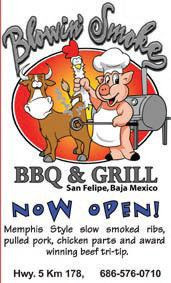 If you're looking for some finger-licking good BBQ, stop by Blowin' Smoke BBQ in San Felipe, just north of town in front of Playa San Rafael on highway 5 at KM 178, or give them a call at (686) 576-0710, or email Baja.bbq@gmail.com.